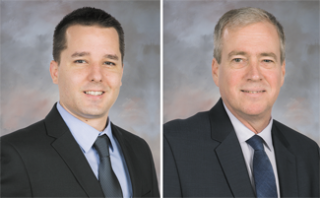 Extron Electronics has created two new North America sales manager positions and promoted Michael Bax and Mark Davis to fill the new roles. Bax will lead the sales teams in the West and Northeast U.S., as well as Canada. Davis will be responsible for the U.S. Midwest, South, and Mid-Atlantic regions. Both are eight-year Extron veterans who previously held the position of territory sales manager. "Michael and Mark are well known and respected in our industry," said Casey Hall, vice president of sales and marketing for Extron. "They both have the proven skills and expertise to deliver superior service and support to our customers."